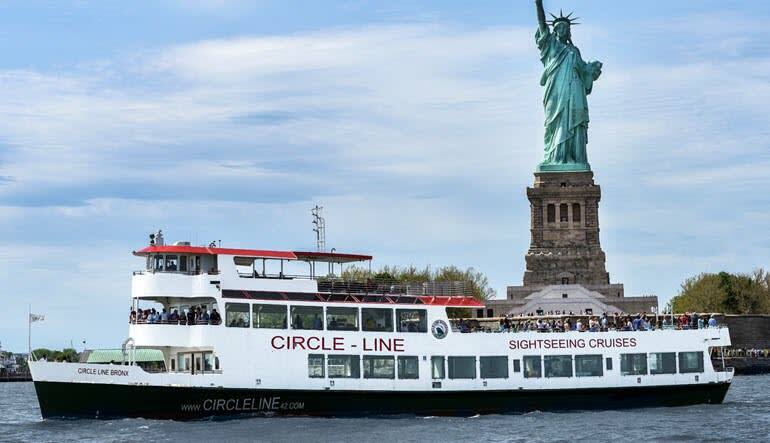 In a mere 1.5 hours, you’ll witness the Big Apple’s greatest hits and see the skyline from multiple angles on this relaxing cruise! New York is by far the most bustling city in North America, which means if you’ve come to see the sights you’ve got to plan accordingly. Fortunately, planning is a cinch with this famous NYC cruise! In a mere 1.5 hours, you’ll witness the Big Apple’s greatest hits and see the skyline from multiple angles! Float past the Statue of Liberty! Marvel at the Empire State Building, the Chrysler Building and One World Trade Center. Get amazing views of Ellis Island, Governor’s Island and Pier 54. 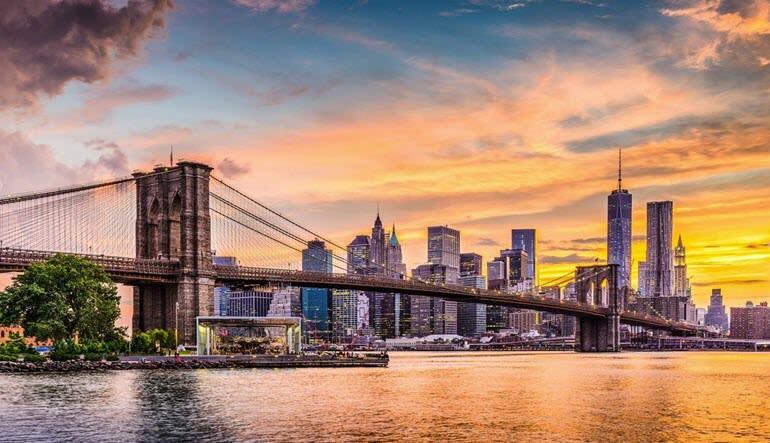 See a number of famous New York City bridges, seaports and piers. Enjoy views of Battery Park, Wall Street, South Street and East Village. Cruise past the United Nations. Witness the postcard skyline from both Midtown and Lower Manhattan! Step away from the bustle and enjoy the best possible views of these Big Apple landmarks. Book your NYC cruise now! I had a short break from work and wanted to experience New York. Thank you for enabling me to make the most of my time.